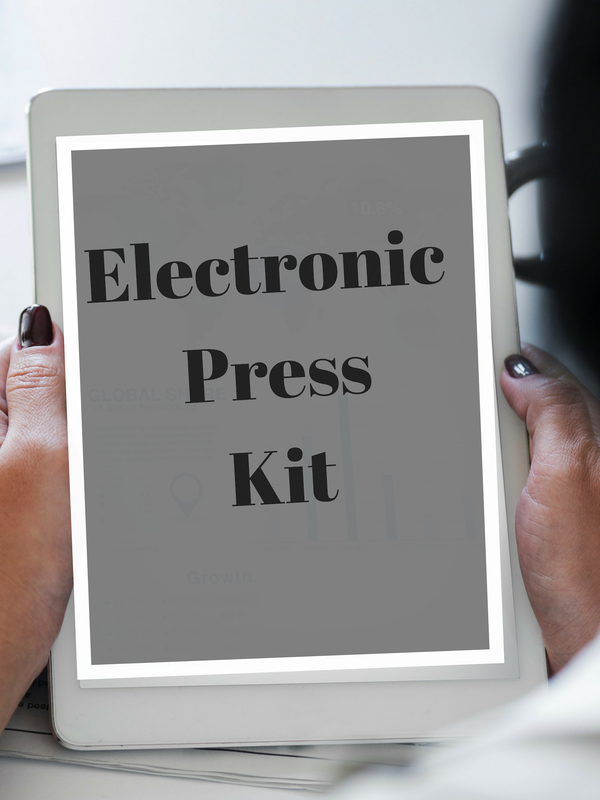 Electronic vs. Hard Copy PK – Today’s digital age opens up for opportunities to create electronic press kits that can be distributed by the click of a mouse. I highly recommend having BOTH an EPK and a hard copy kit available for each major project that you are working on. An electronic kit is great for mass distribution and easy handling. However, there is something personal and literally more “hands on” about having a traditional hard copy press kit. The publicity world is great with advancing with the times, but nothing beats a bonafide system of hard copy materials. It’s probably a good idea to go ahead and have a flash drive or CD with your EPK when delivering a hard copy press kit. Design/Format/Delivery – Designs should be original, exciting and reflect the image of the artist. There should be a balance between individuality, creativity and clarity. Stay creative but don’t stray too far that it distracts from the purpose of the text delivered in the press kit. Length is a huge factor. An effective press kit should be a minimum of 5 pages and no more than 8. This should include your cover letter, cover page, biography, fact sheet, contact info, discography (past and future), reviews/features, and photos/videos. Don’t have it set up where the person looking at your press kit has to open a separate file for each page. This should be a document or PP set up that flows easily from beginning to end and can easily be accessed online. Make sure the color schemes and logos are all cohesive with your artistic identity and/or brand. Update It – This is extremely important. Sending out a press kit that hasn’t been updated in several months is not a good look. It makes you and your brand look out of date, or it may just make you look lazy. If you aren’t consistently creating new content and materials to distribute, it is harder to get people to want to take notice. People want to feel like they have their hands on something NEW. Sending out recycled materials decreases your product value in the grand scheme of things. DIY or Outsource – This really comes down to your resources. If you have the skill and talent to design and develop a press kit that accurately demonstrates your brand/product, you can definitely save some dollars on having someone develop it for you. However, if this is your first time doing such a thing it might be a safer bet to hire a professional to bring the design and the description content together. There are several websites that set you up to develop your EPK for a small fee (Check out sonicbids.com). But many limit you in what you can input, design and format, and where it is distributed.